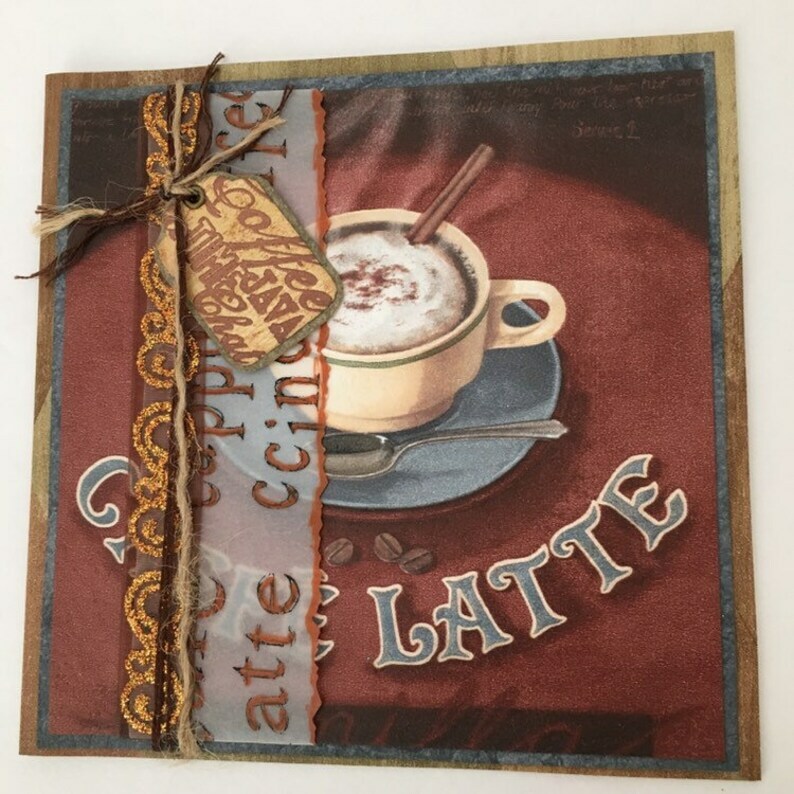 Vintage wallpaper makes up this coffee lover’s birthday card, along with bits of twine and shiny ribbon. Hand stamped and hand inked. Comes with a handmade coordinating wallpaper envelope. Requires extra postage if its to be mailed.